the color of those trousers has me going out of my mind. i LOVE. 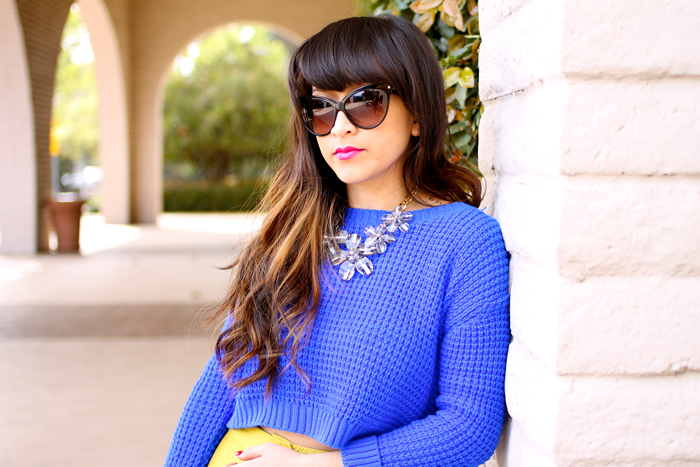 It would be a favorite too if it were mine…..that sweater is so versatile & the color is terrific esp. when matched with those pants. Btw KT, I hope you could help me out with the Wallis search for its 1st US Blogger Ambassador…..instructions for voting are in my latest post!!! Thanks in advance for your support! 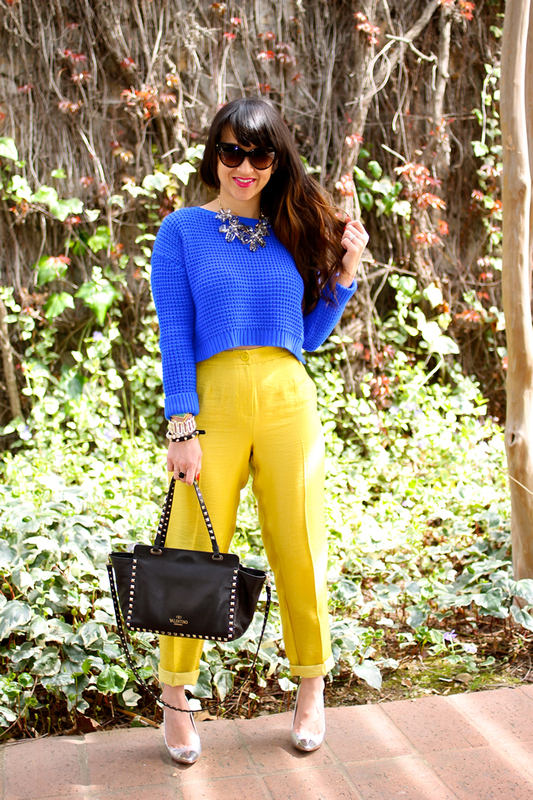 Great color combo! You look lovely! Your beauty is just emaculate! I am obsessing over these trousers! They are right up my alley, from the moment I clicked onto your page I was not only smitten with you, I was smitten with high waisted anything and Everything! I love it. I am going to asos right now to scope these bad boys out. Wishing you a fun filled and relaxing weekend! I can’t wait to see you tonight! Love colors. I just ordered that top, thanks for the inspiration doll! Such a great look for you! I envy how you can look good in any color and it really makes me want to try! You are an inspiration!